On the night of Friday 21 July 1950 Lily and John Weston were in the dining room of their Admiralty Estates’ farmhouse when a scratching noise on the gauze of the back door was heard. On opening it, John was assaulted by “three masked natives”, one of whom rushed into the house and attacked his wife . Their daughter Kathleen Rein-Weston and her husband Carl found the couple on the Saturday morning: they had been “brutally butchered” . Lily regained consciousness three days later in Harrismith hospital. John regained partial consciousness and was operated on for head injuries, but on 24 July, “the very same day he had intended to leave on an overseas trip”, he died . The death certificate has his “Occupation in life” as “Naval Officer”. The certificate gave his age as 78 and 1 month . It was John’s wish that his funeral should be quiet and simple. His body was cremated in Johannesburg on 27 July. Apart from the undertaker, not a single person was present when the coffin passed through the brass doors and out of the chapel of the Braamfontein Crematorium. No service was held and no last words were spoken . Detectives investigating the attack saw the poor conditions in which Kathleen and Carl were living as they sought to manage the farm and to raise a family. They found papers showing that Weston charged the Rein-Westons for trivial items such as the use of the gramophone, and made wage deductions for time they spent away from the farm to do their shopping. When Lily suggested that the assailants might be white people painted black and wearing masks, the police felt that the Rein-Westons had a motive for the assault and initial suspicion fell upon them . However, all three of the masked attackers were subsequently apprehended. The motive behind the assault was found to be money. It was widely believed in the neighbourhood that Weston kept large sums of money in a strong box in the house . Kathleen certainly knew of a safe and believed her father kept a gun in it to defend himself from just such an attack . A magazine illustration depicting masked robbers in action was found in the house of one of the attackers. Fred Mzimela (aged 40), a butcher, Mpondo Zondo (30), a police constable, and Msolwa Zondo (18), labourer and brother of Mpondo, were found guilty of first degree murder in the High Court in Ladysmith. Msolwa Zondo’s sentence was later commuted to one of imprisonment with hard labour for life . Although she had some permanent injuries Lily Weston lived on for more than 16 years. She passed away on 14 April 1967 at the age of 92 . 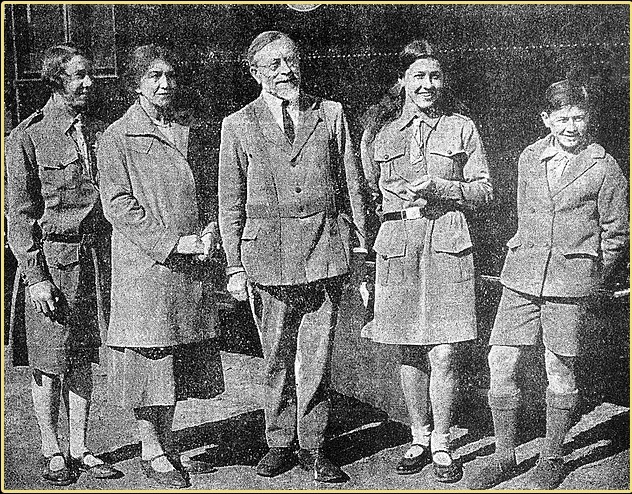 Following John’s demise, the family bitterness which had its origins in the 1930s morphed into a protracted legal battle . As outlined earlier , when Weston passed away his February 1950 will was found to make no mention of an agreement which daughter Kathleen claimed had been made in 1945. This agreement was alleged to say that she would manage the estate, make an annual payment to her father, and inherit the property on his death. But neither Weston’s nor Kathleen’s copy of an alleged document setting this out could be traced. Nonetheless, there was ample circumstantial evidence that for some years the management of the farms had been in Kathleen’s hands and that she had been making payments to her father. Even the barristers Suzman and Japhet accepted this as fact though it did not prevent them delivering an opinion rejecting Kathleen’s claim to ownership . A three year legal battle pitted Kathleen and her husband against the combined forces of her mother, her sister and her brother . Dr Fox, the executor of the will, was sympathetic to Kathleen’s case. As a result, her mother Lily and siblings Anna Walker and Max Weston engaged the solicitors Le Sueur, de Jager and Barker who in turn sought counsel’s opinion from V E Quenet . The fine legal balance of the case is illustrated by the fact that Quenet initially found against Kathleen but then changed his mind . The case reached the Supreme Court in August 1953 with Kathleen as plaintiff against her family, the executor Fox, the Master of the Supreme Court, and Japhet who was acting for the Weston grandchildren, including those not yet born. A settlement was agreed on 19 August and confirmed by the Court on 20 August . The detail is complex but Kathleen and Carl certainly achieved tenancy and ownership of Admiralty Estates, though they also accepted financial and other obligations to members of their family . It appears from a letter written by Weston’s widow that the settlement was reached only after the Court had told the parties to go away and settle, but as this same February 1954 letter shows, the dispute continued . In May of that year Anna and Lily wrote to the Supreme Court that the settlement was unjust and had been forced upon them: it gave Kathleen the inheritance that (in their view) should have been shared with the rest of her immediate family. They threatened not to sign the trust deed unless the executor attended to his responsibilities . This war of words continued into 1955. It is plain from a letter written by Lily Weston in October of that year that there was deep resentment at the settlement, together with equally deep resentment at the behaviour of the Executor and the Supreme Court . The author is an amateur in legal matters and asks the reader to bear that in mind. See the Admiralty Estates page of this site.